Well, it's beginning to feel a lot like Christmas . . . as the song says, but not because of the Christmas decorations and present hunting, but because we're getting ready for several Christmas performances and activities. 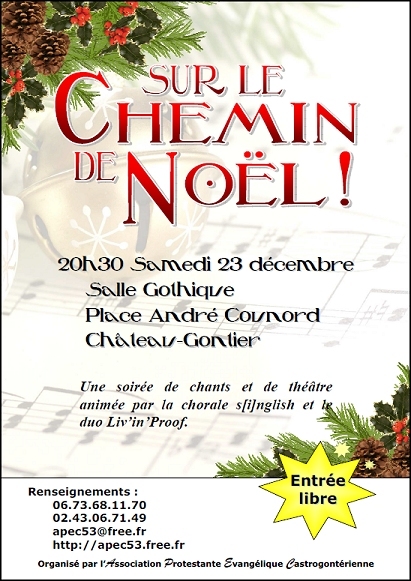 We'll be singing with our choir s[i]nglish at the Christmas market in Château-Gontier on Saturday 9th and Sunday 10th December, then again with the choir we'll be singing at the Christmas market in neighbouring Saint Fort on Sunday 17th December. 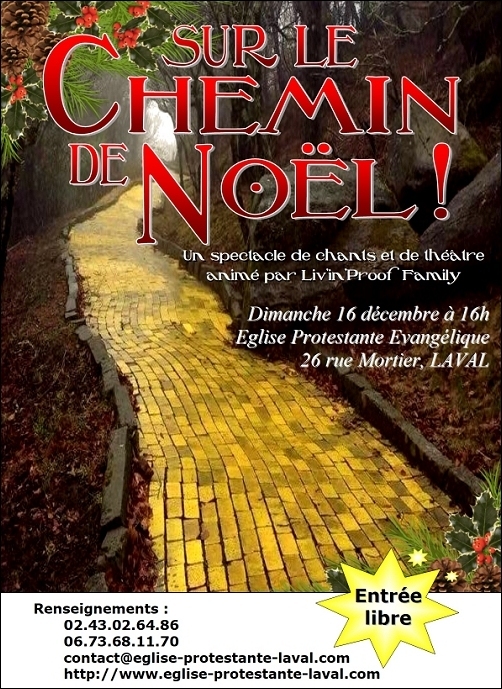 And the following weekend we'll be singing with the choir, and as our duo Liv'in'Proof at our Christmas event 'Sur le chemin de Noël' on the Saturday 23rd December. We're particularly looking forward to this last event as it also includes our first attempt at creating a musical theatre piece, cobmbining some drama (thanks to our actors, Evie, Luc, Nathan & Caroline), poems, and songs. 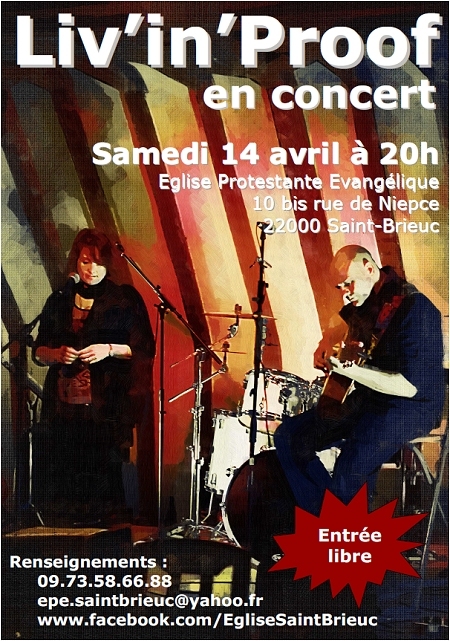 We're also in the process of working on some new arrangements for our choir s[i]nglish. The most recent one was the Katy Perry song 'Firework'. You can hear a demo version over at www.soundcloud.com.